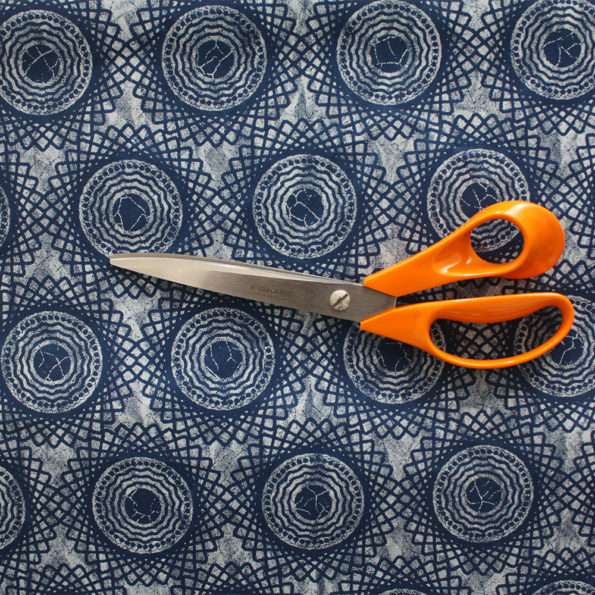 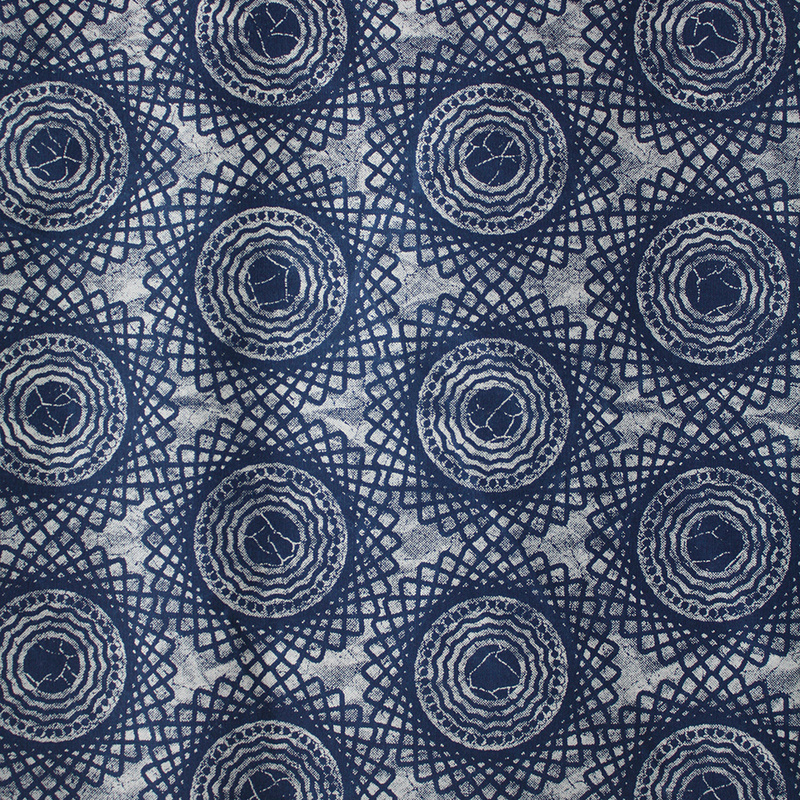 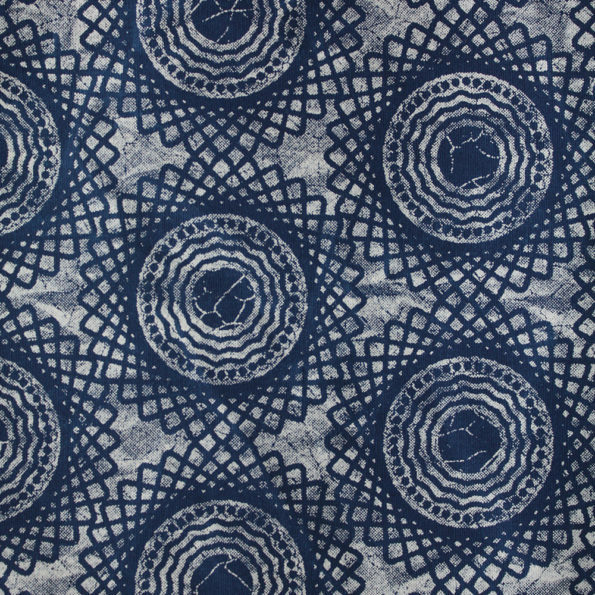 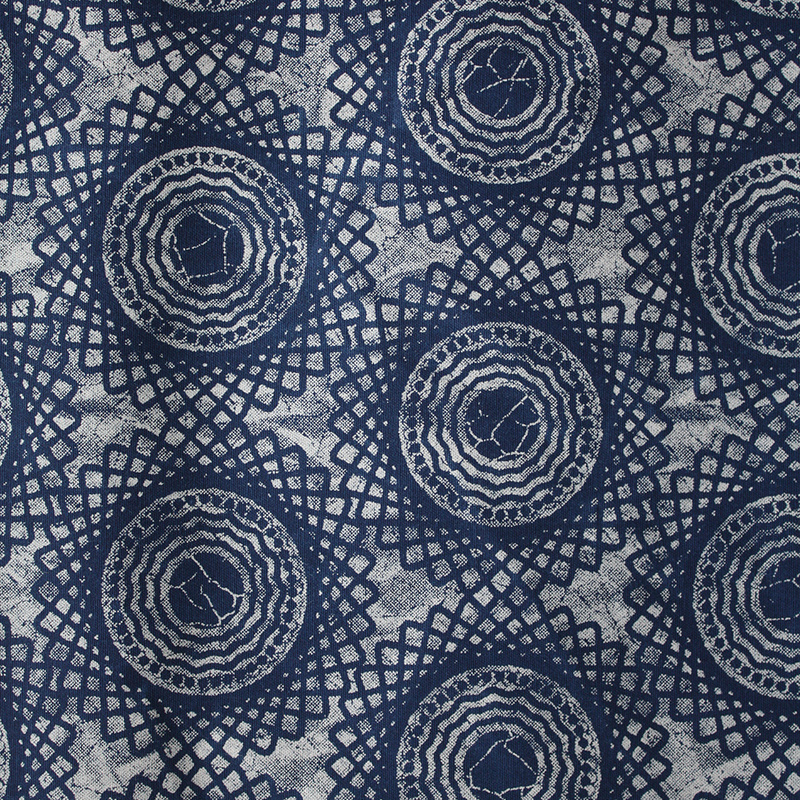 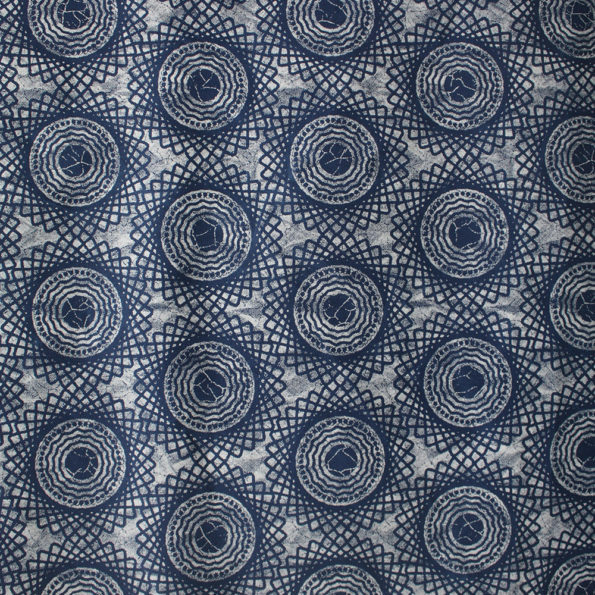 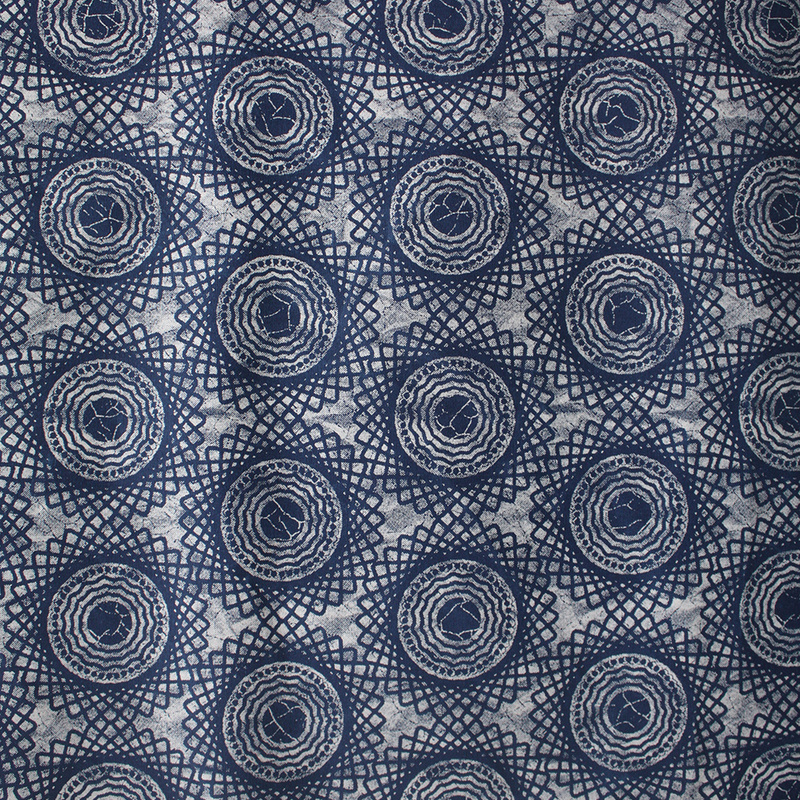 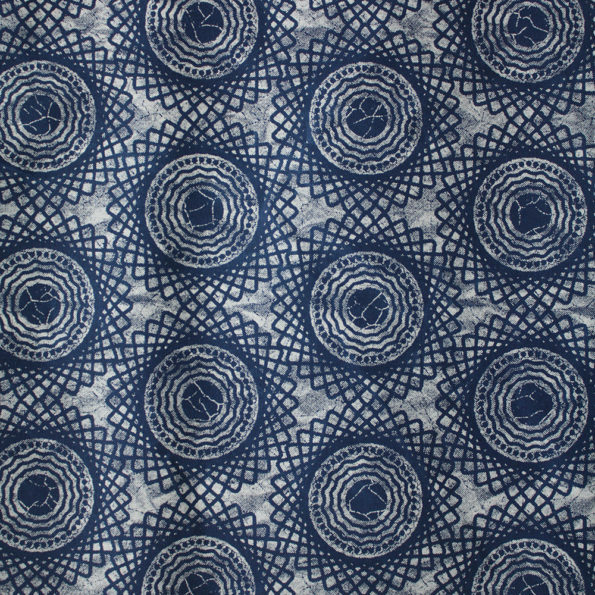 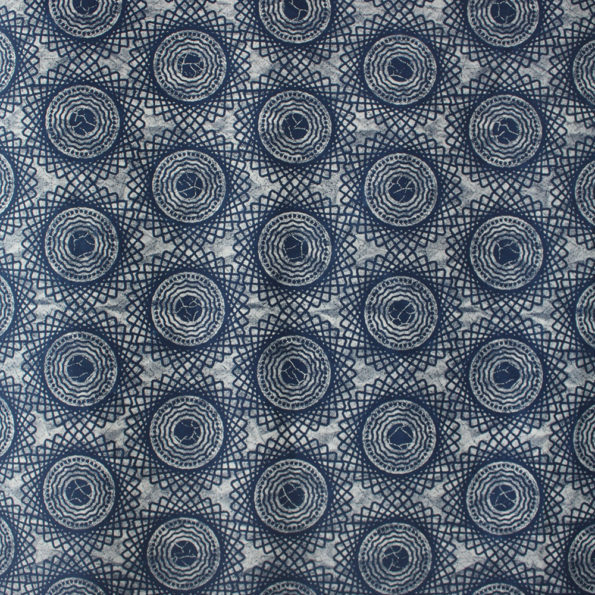 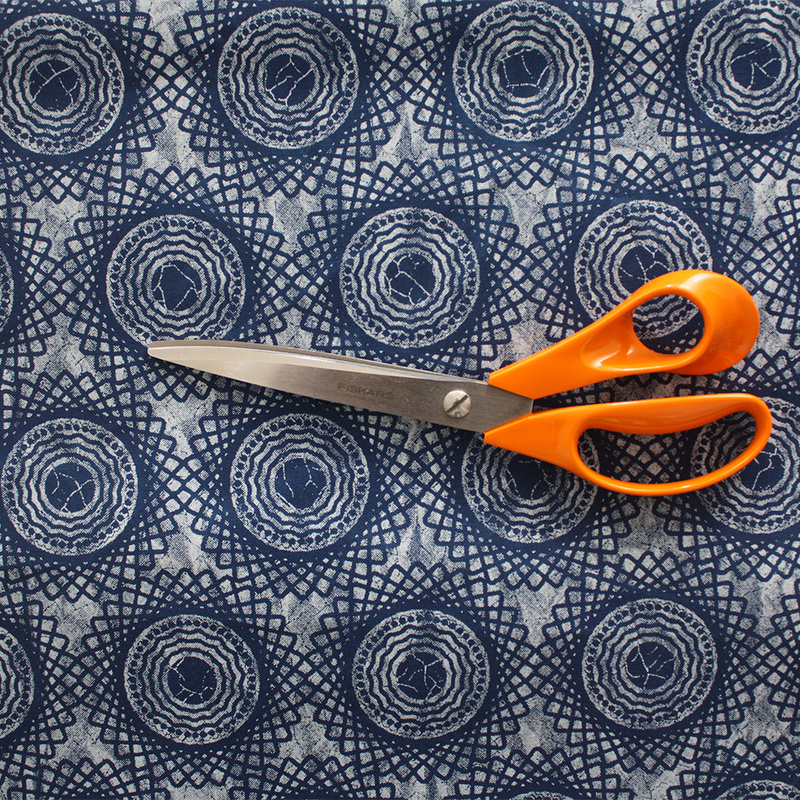 A simple yet modern blue shweshwe fabric from South Africa. To give you an idea of the scale of the pattern, look at the last image which shows a tape rule shown in inches. Each of the motifs in the pattern is about 4 inches wide. 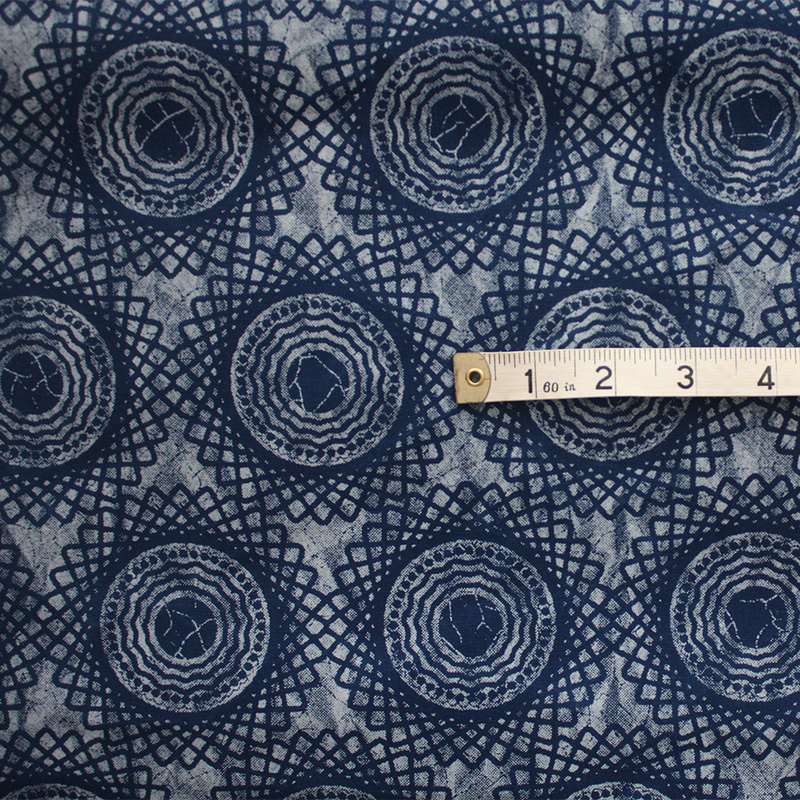 This is approximately 10 cm.